Show them you are thinking about them by sending this elegant wine and gourmet food gift basket perfect for any occasion. 'The Alphas' features two delicious bottles of wine, the Montes 'Alpha' Chardonnay D.O. Casablanca Valley White Wine with its full-bodied, complex and creamy in the mid-palate taste that only improves with age, and the Montes 'Alpha' Malbec Colchagua Valley Red Wine which is a soft, elegant wine of silky tannins and a long, delightful finish. In addition, they will enjoy an abundance of delicious gourmet treats including Portlock Smoked Salmon, California Smoked Almonds, Cranberry Harvest Medley, Godiva Milk Chocolate Chocoiste Bar and much more. 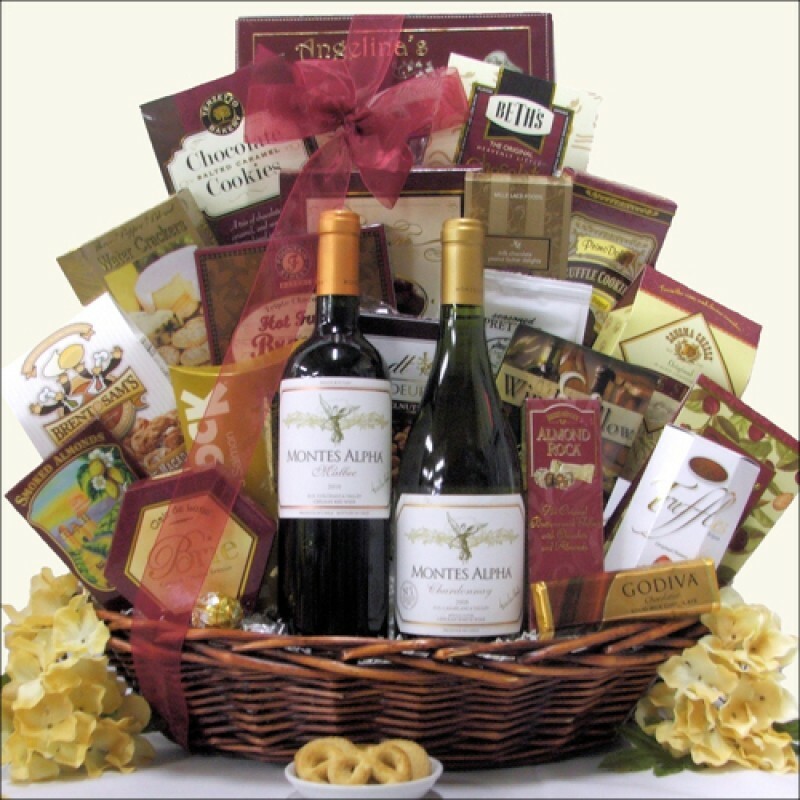 This is a fantastic gift basket they will enjoy for days.